Level crossings in the Highlands. 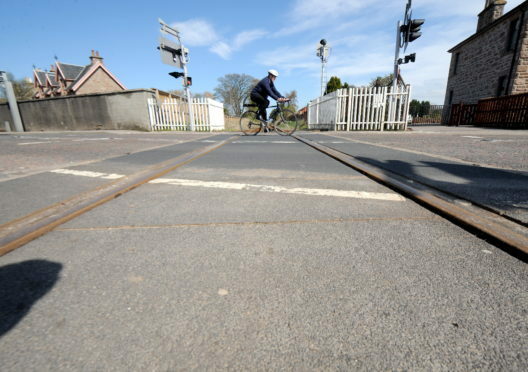 There have been several major accidents at open level crossings in the Highlands. Two teenagers were killed after a car was struck at Delny, near Invergordon, in Easter Ross in February 2007. Richard Fleming was jailed for five years after he admitted causing the deaths of Paul Oliver and Alan Thain, both 17. In the same year, Graeme Macmillan, who was 48 at the time, was seriously injured at Bunchrew crossing when his car was hit by a train. Meanwhile, another three people were killed when their car was hit by a passenger train at Halkirk, near Thurso in Caithness, in September 2009. Angus MacKay and his wife Margaret, both 81, and Mr MacKay’s brother Donnie, 66, from Latheron, died after being struck on the single-track line by a train travelling from Inverness to Wick. Earlier that year a train with 40 passengers and three staff collided with a refuse lorry on the same line. And in 2002, a young pregnant woman, Sarah Jappy, spent months in a coma after suffering multiple injuries in a crash at the Halkirk crossing. She later gave birth to a baby girl. And in April 2012, Tain oil worker John Kidd and his wife Angela, and their four children, came within yards of being crushed to death after a fault on the Delny crossing put them in the path of an oncoming train.